For the dining room of this large scale contemporary residence by architect Susan Desko, Images FOR DESIGN has provided an acrylic face mounted print of 'Blackbird, singing', set in an aluminum 'float' frame. The print size is 50" x 80". 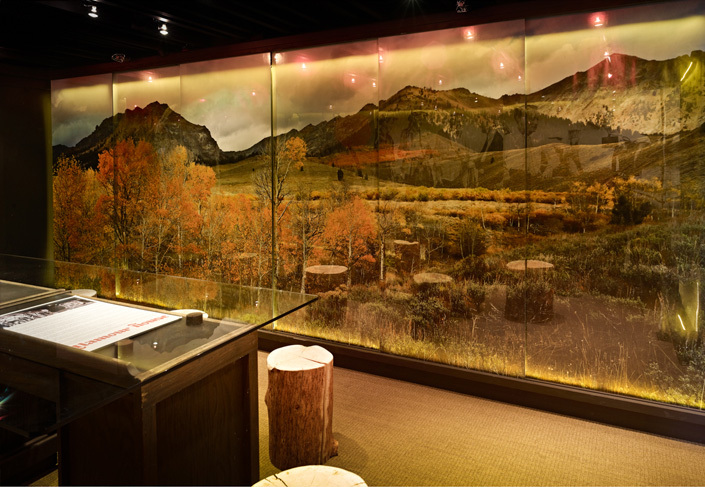 The conference room in the Visitor Center, the vault of a converted bank building by award winning architect Susan Desko, contains large scale photographs in homage to Ernest Hemingway. Three walls are treated with floor to ceiling black and white historical images of the author. The fourth wall is a 17 foot wide photograph of fall in the Idaho mountains near Sun Valley, the season Hemingway most loved. The landscape image is from James Bourret's archive, and printing and installation of the images was provided by Images FOR DESIGN. 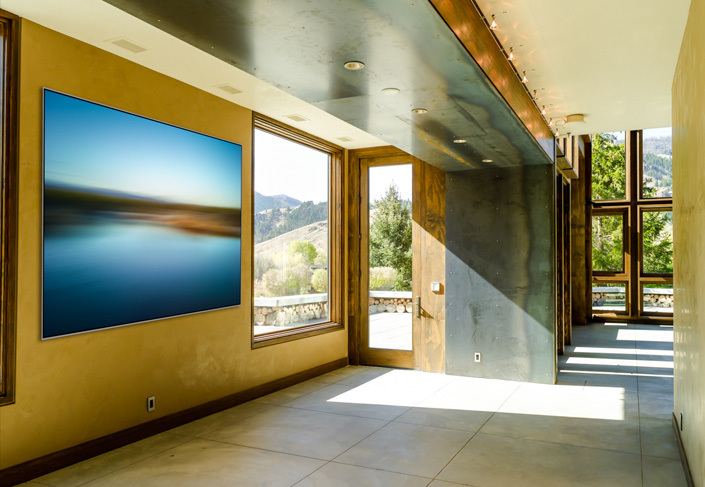 An image from the 'Motion' series, printed on canvas and installed in an aluminum 'float' frame, much as an artist's canvas might be installed in a contemporary setting.